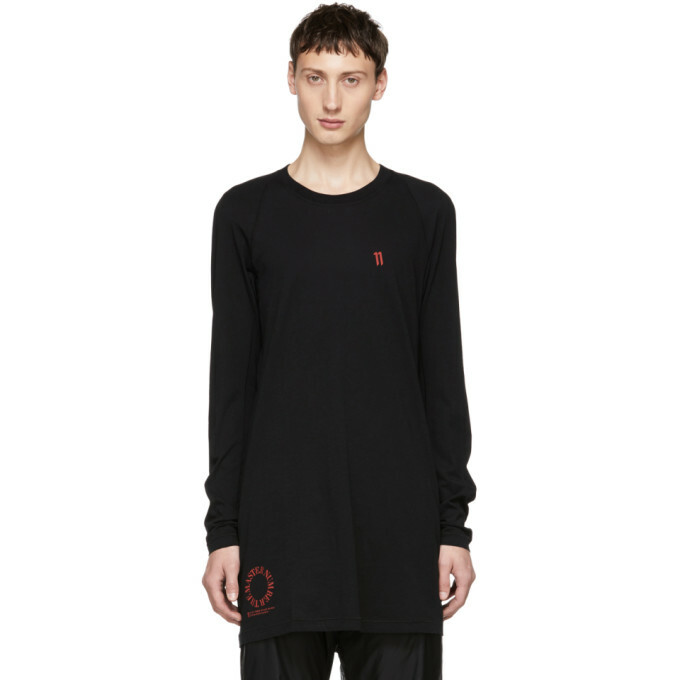 Long sleeve cotton jersey t shirt in black. Exposed seams throughout. Rib knit crewneck collar. Logo printed in red at chest and hem. Graphic printed in red at back. Tonal stitching.